How do you place a value on a unique home? 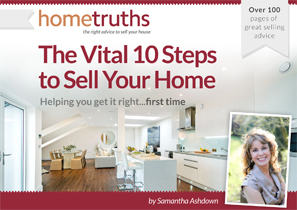 There are many resources estate agents and valuers can draw upon to ascertain the value of a home, but they all rely, in one form or another, on precedent: what other properties have sold for in the road, village or area. But how much can past performance really be an indicator of what a future buyer is prepared to pay for their dream home? A property that has similar neighbouring properties, perhaps in a terrace, row of semi-detached houses, or a small development of detached homes, usually has ample precedential evidence; sales over recent years will paint a picture of rises and falls in the local market; ‘done-up’ properties setting the glass ceiling for achievable sale prices, houses in need of renovation bringing up the rear. They all make up the rich tapestry that determines your asking price. Affordability – what kind of buyer does your home most appeal to, and can they afford it? A London buyer may be able to afford more than a local, but if your home is dated, or unsuitable for a contemporary buyer, an urban buyer may dismiss it in favour of something with move-in appeal. Scarcity – how unique is the house? Is it unique because it’s been extended so much over the years, the original house is unrecognisable, or is it a sixteenth century house that Elizabeth I once stayed in? Appeal – if you were a buyer, would you want your home? Does it tick lots of boxes? Does it have all that a family buyer has been dreaming of? A pony paddock and a swimming pool may not be on their list, but may just clinch the deal for you, making sure they are thinking with their hearts, and not with their heads. Competition – what else could they buy for the same money? How does it compare with yours? Be honest – which one would you choose? If you’re trying to sell a unique home, and would like some honest, independent advice on its saleability, why not drop me a line? You may just be ready for some HomeTruths. What to read next: Linger or leave?